On 22nd April, the IEEE Student Chapter of Manipal University Dubai was invited to be part of the launch of the newly formed IEEE Student Chapter at the Higher College of Technologies- Dubai Women’s College (HCT-DWC). Along with this inauguration, our students were able to interact with speakers from Microsoft and Dubai Electricity and Water Authority (DEWA) who gave presentations, highlighting the importance of the IEEE in a student’s career. 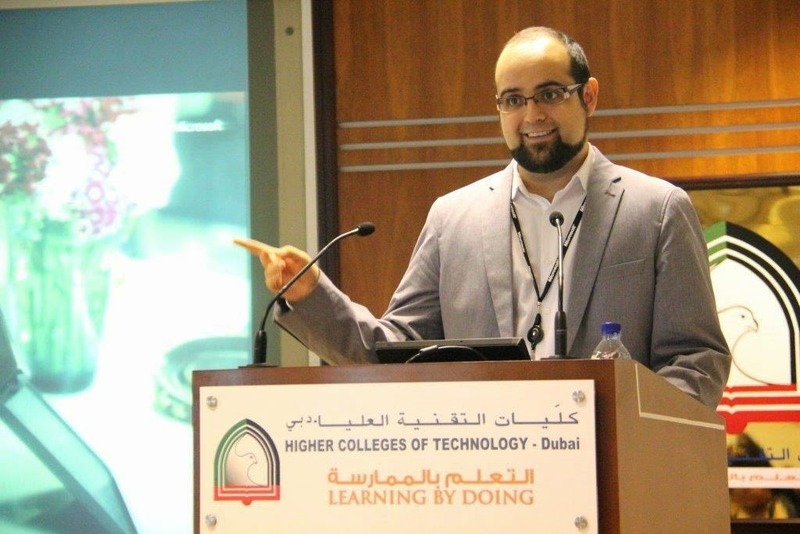 First up was Mr. Eduardo Ortega, a Technical Evangelist working for Microsoft, Dubai who has spent more than 14 years of his career with the company. He has trained more than 2000 professionals and performed at more than 150 live events for Microsoft. His presentation was on the topic “Windows Mobile Apps and App Studio”. It was an enlightening introduction on how to easily create a front end user interface for a mobile app without writing a single line of code. He provided our students with lots of information on app development, along with dates of future workshops by Microsoft to be held exclusively for students in the near future. The second presentation was given by Ms. Mariyam Althani, the Senior Manager of Corporate Partnership at DEWA and UAE section chair for the IEEE. Her presentation was detailed the Duties and Perks that come with being a Student Member of the IEEE. She explained that being a part of the IEEE Student Chapter at a University was the first step in establishing a promising career in the industry. Being a member provides a student with access to exclusive educational material not available to the general public as well as numerous networking opportunities with other Student Chapters worldwide. Participating in IEEE competitions and workshops are great resume building opportunities that students need to take advantage of. To conclude, this visit to HCT-DWC was a highly educational experience for our students. It provided them with pertinent information about the importance of the IEEE in their careers as well as new ideas for future IEEE events to be held in the University. The IEEE Student Chapter of Manipal University, Dubai would like to thank Dr. S.K. Pandey, the Chairperson of the School of Engineering & IT, our IEEE student mentors Mr. M.I. Jawid Nazir, Mr. Abdullah KP and Mrs. Sukhwant Kaur as well as the staff at HCT- Dubai Women’s college for providing us with the opportunity to be part of this illuminating seminar.